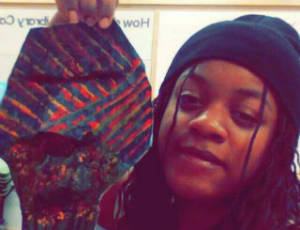 Lashara participated in an African Masks program at Greater Grand Crossing where they examined physical masks from the Baule, Bamum, and Masaii cultures. 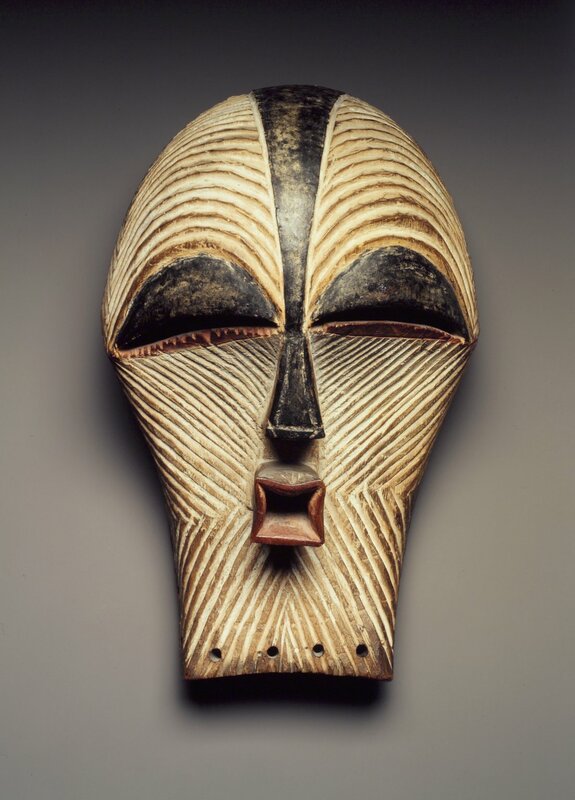 She learned about the history and importance of masking in Western Africa and was interested by the fact that the carved stripes on kifwebe masks from the Congo denote spiritual power, and that women were historically not allowed to wear or in some cases even see masks in most African cultures. Her mask is an answer to that concept, with the colors chosen representing the Earth as a source and symbol of female power, and the lines denoting that spiritual might. We talked to Lashara about her interests and life at the library. A: Book Buddies. I get to read with my friends and it develops community. I also really love art programs and drawing club. We learn about different cultures and crafts, which can be really fun. Q: What are your hobbies? Do you have any favorite books or genres? A: I love to read and draw. I mainly draw portraits and I mainly read fantasy. My favorite fantasy is the Harry Potter series. I also just started really getting into manga and anime. I am currently into Tokyo Ghoul. Q: What do you like to do at the library? A: The library has become part of my life by bringing me a place where I can be myself. I am able to be around people who have the same interests as me. We can talk about art and books. I can be weird and not be afraid. I like to learn about different books and get to know new things. I also like to get to know new people and communicate with the people I know.